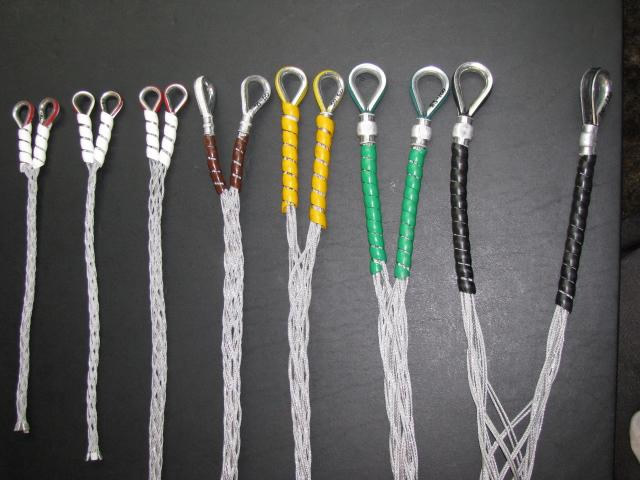 Whip Socks are the new best way to restrain high pressure hoses - Safety Hose Product - Accessories - JGB Enterprises, Inc.
JGB is proud to present our newest hose restraint. 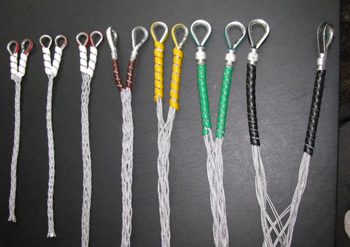 JGB Safety Hose Product, sometimes called whip socks, are the new best way to restrain high pressure hoses. The JGB Safety Hose Product has a unique design that prevents the very real and unpredictable whipping of a high pressure hose during a failure. 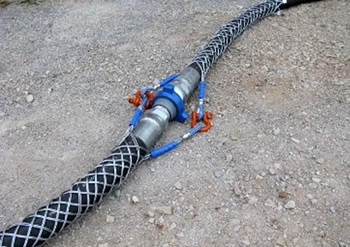 The real genius behind these new designs is the woven steel that grips and tightens over a large area of the hose as it suppresses and confines the hose that has ruptured. 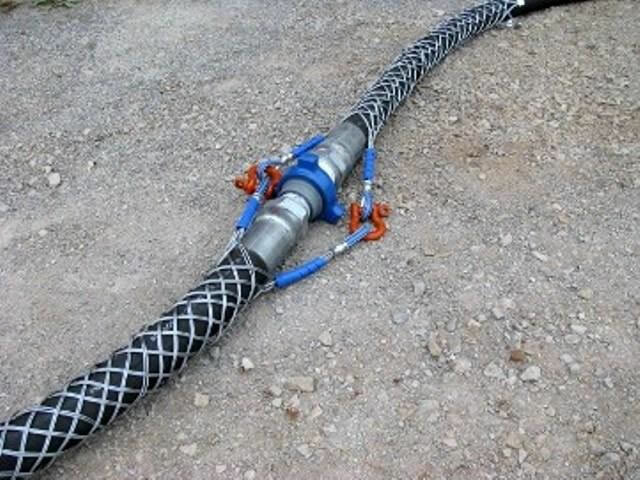 The JGB Safety Hose Product is just one more way for a company to make a potentially dangerous workspace much safer for employees. 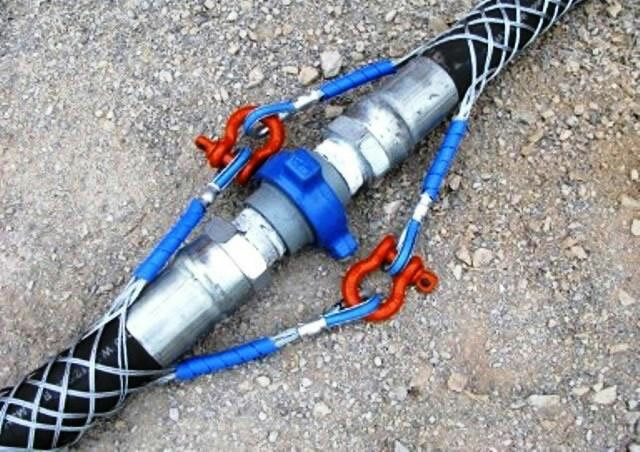 The whip sock is also one more way to prevent a good deal of damage to adjacent equipment if there were to be a high pressure breakdown. 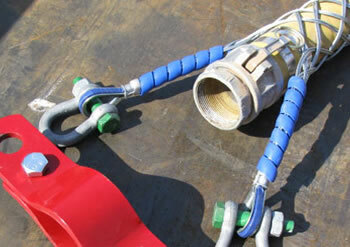 We would recommend a whip sock for any high pressure applications- whether they be air, hydraulic, water, etc.